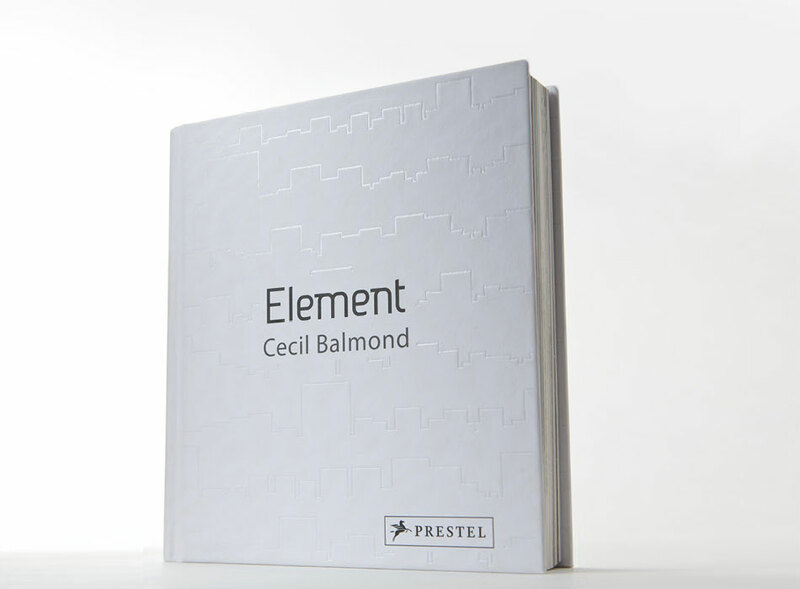 We were ask by Prestel Publishing to work along side renowned architect Cecil Balmond to embark on a graphic treatment to conclude his latest book Elements an examination of nature and its relation to architecture(fractals). 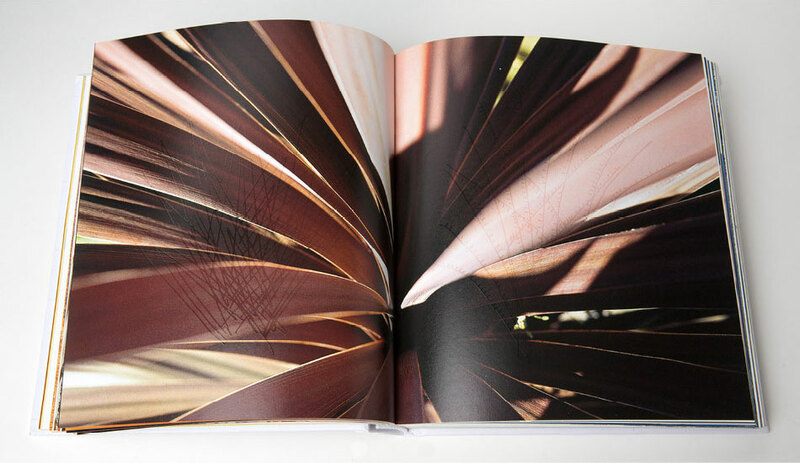 Patterns of nature play a symbiotic role throughout the book. 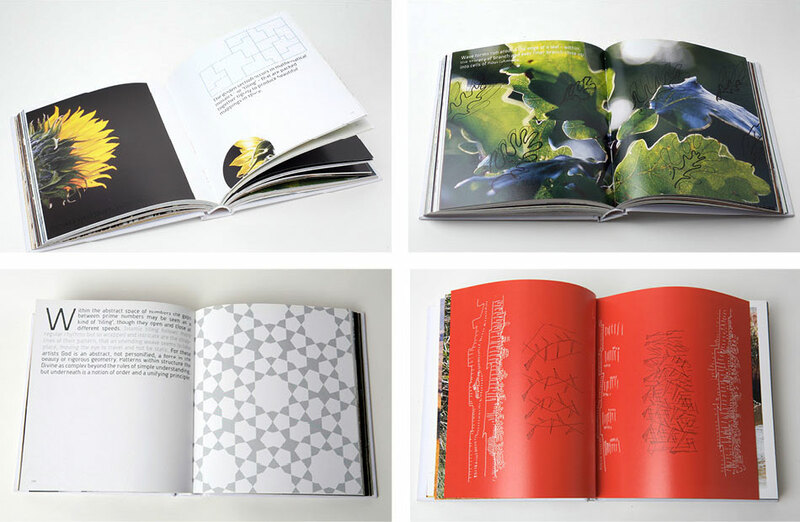 Cecil’s documents scenes of trees, crashing waves, oppressive yet beautiful still rock faces and swirling fields to signify the relevance of elemental structures in architecture, that we overlaid with his sketches and patterns bringing a direct mutuality between reference and inspiration. 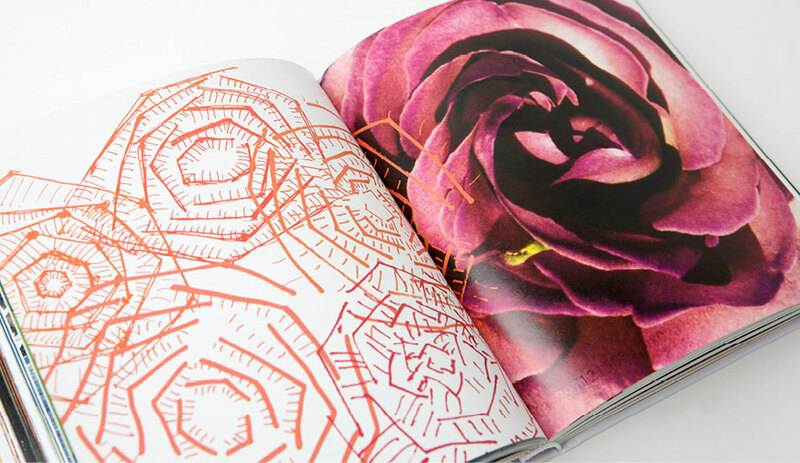 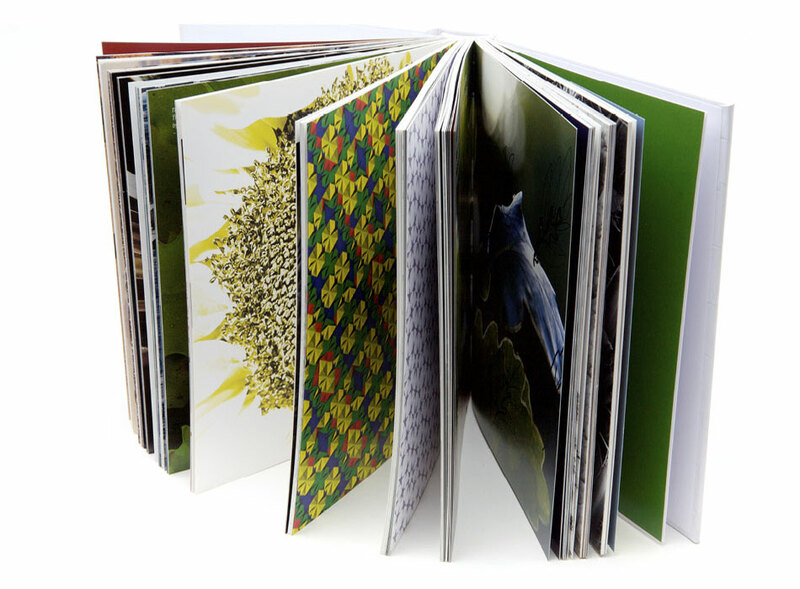 His continuous examination of natural forms was the influence for our organic type treatment flowing through the book. 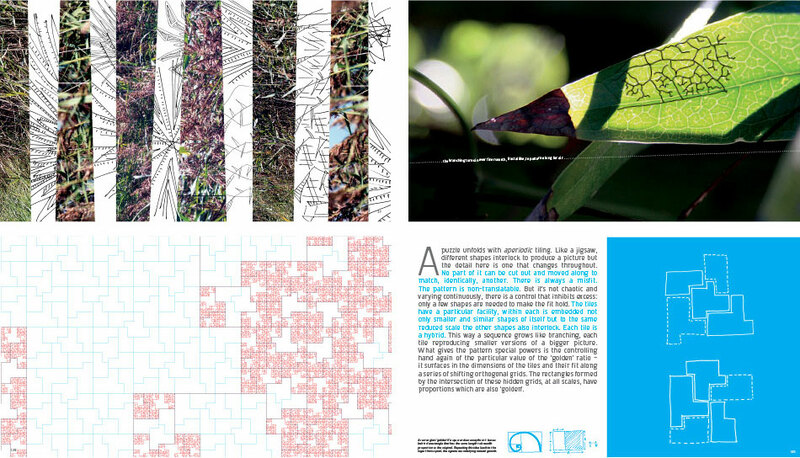 We juxtaposed the layout of text sections with picture led sections to represent both the harmony and discord found in the phenomena of the physical world collectively. 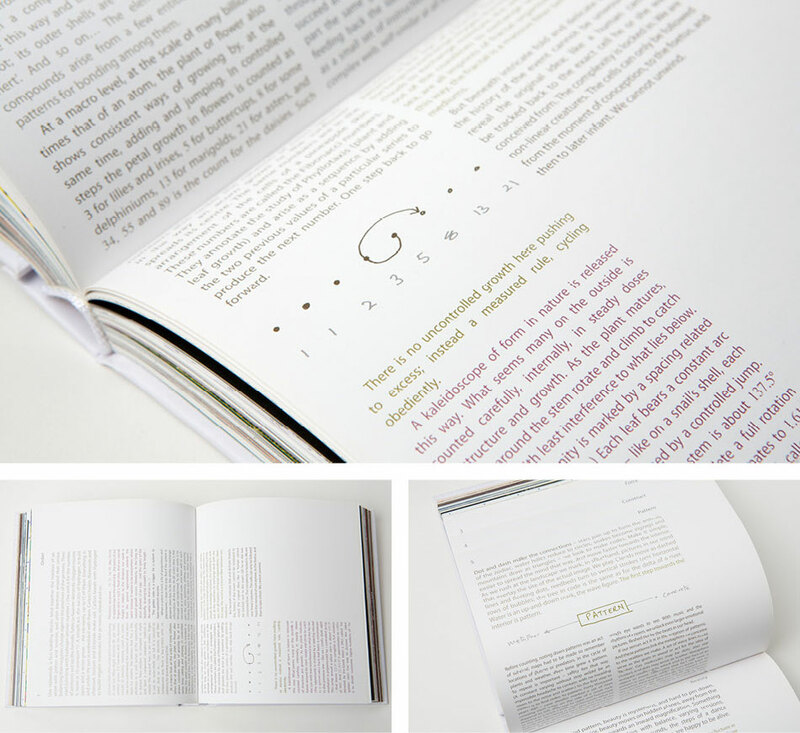 By running the text horizontal to separate the sections we consciously wanted readers to rotate the book to read it.